In the wake of controversies brought by the Priority Development Assistance Fund (PDAF) and the Disbursement Acceleration Program (DAP), expect the 2015 national budget to undergo tight scrutiny in the Senate down to its last centavo. “We must be vigilant and careful in scrutinizing next year’s budget to ensure every centavo of public’s money will go to its intended use and not in somebody’s pocket,” said Senator Bam Aquino, chairman of the Senate Committee of Trade, Commerce and Entrepreneurship. 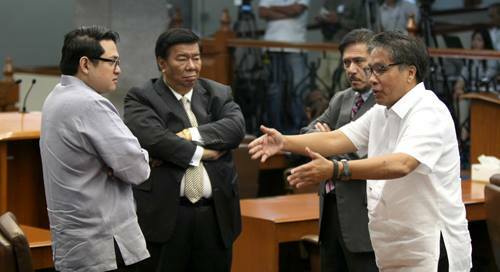 “Controversies have taught us to put our budget under the microscope to avoid a repeat of issues such as PDAF and DAP. We also must be on guard against illegal insertions by crooked individuals who may try to pull a fast one,” the senator added. Last year, Aquino actively participated in budget hearings and even presided over deliberations for agencies such as the Department of Interior and Local Government (DILG) and the Department of Environment and Natural Resources. Earlier, Malacañang said it would submit a proposed P2.606 trillion budget for 2015 to Congress. The amount was 15 percent higher than the 2014 national budget. A senator aired this call as he rallies the nation to support President Aquino’s plans, programs and reforms in his remaining 700 days in office. “We are in the last quarter of the game so to speak, the President needs all the support he can get. 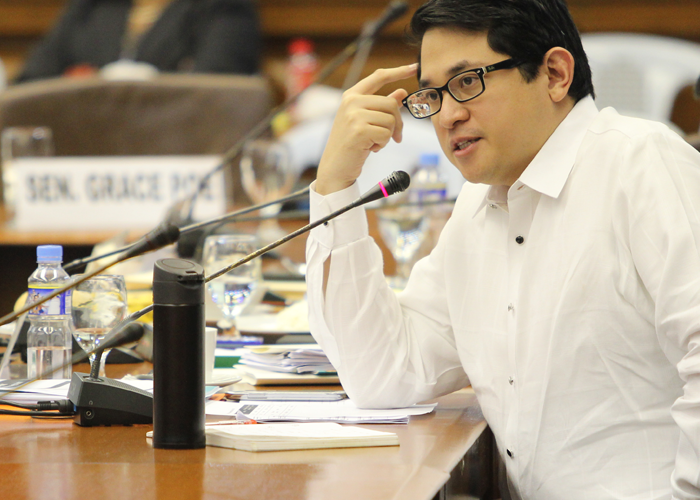 Let’s help him accomplish his mission before his term ends,” said Senator Bam Aquino. The senator believes that President Aquino’s State of the Nation Address (SONA) should be regarded as a call for healing and unity as his administration approaches the homestretch. “We all know that the President is candid and he will speak his mind about issues that affect his bosses. This time, he wants everybody to set aside bickering and unite for the country’s good,” said Aquino. The senator also hailed the achievements laid down by the President during the SONA, especially in terms of economic growth, employment generation and poverty incidence reduction. During the SONA, the Chief Executive mentioned the record drop in the country’s poverty incidence from 27.9 percent in the first semester of 2012 to 24.9 percent in same period of 2013, which translates to 2.5 million Filipinos currently above the poverty line. He also cited the investment grades received by the country from three international credit rating agencies due to its continuing economic growth. President Aquino added the government made great strides in its campaign against unemployment with the creation of 1.65 million jobs from April 2013 to April 2014. “These figures prove that the government’s push for inclusive growth works and we need to sustain it in the coming years through the enactment of laws that will further benefit the people,” said Aquino. As part of his contribution to the inclusive growth drive, Aquino said he would push for the passage of his measures pushing for growth of the micro, small and medium enterprises (MSMEs), such as the Poverty Reduction through Social Entrepreneurship (PRESENT) Bill, Youth Entrepreneurship Bill, Microfinance NGOs Bill, Credit Surety Fund Bill and among others. “I expect the Senate to buckle down to work on the inclusive growth agenda for progress to be experienced by every Filipino family,” Aquino said. 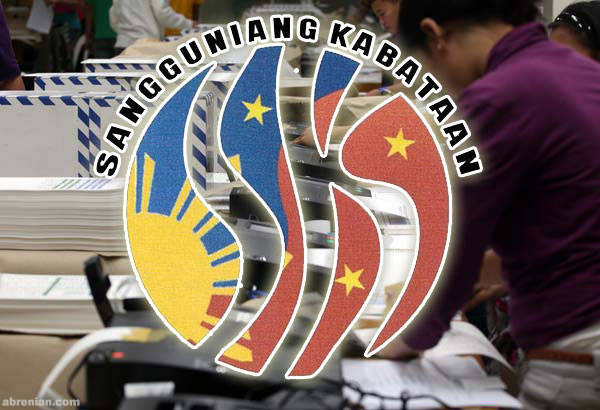 Senator Bam Aquino warned that the Sangguniang Kabataan (SK) would return to the clutches of partisan politics if proposed reforms are not immediately passed. “If not passed on time, all the reforms that we are working on will go down the drain. Congress should buckle down and work for the passage of the pending SK reform bills,” said Aquino, chairman of the Senate Committee on Youth. Last year, Congress approved the postponement of the SK elections for one year without holdover with the goal of passing an SK reform bill before October 28, 2014. Lawmakers also agreed to hold the next polls between Oct. 28, 2014 and February 23, 2015. Among the reforms being pushed by Aquino in his measure include the increasing the age of SK officials from the 15-17 years old to 18-24 years old. Also, Aquino also wants elected youth leaders to undergo mandatory leadership and entrepreneurship trainings to equip them with the proper knowledge needed for their positions. “The youth sector should actively lobby for these reforms so they can be put in place before the SK elections next year,” said Aquino. Earlier, Aquino stressed that poor participation of leaders in consultations in different parts of the country has delayed the approval of the bill. Aquino’s LBK bill is aimed at overhauling youth representation system and instills the true spirit of volunteerism on the youth. The bill replaces the current form of the SK with a body composed of representatives of youth organizations. The measure also calls for “bottom-up budgeting” and “end-to-end transparency, accountability, good governance, and community youth participation” for all LBK projects. “The bill is anchored on the twin beliefs that youth organizations are a potent force in nation-building, and that the power of young Filipinos is strongest when they work with people who share their values and goals, and in an environment of teamwork and collaboration,” the senator said. Senator Bam Aquino wants to legally define savings to put issues such as the Disbursement Acceleration Program (DAP) to rest. “As a co-equal branch of government, that Congress and Senate define savings once and for all to finally lay this issue to rest,” Aquino said during the hearing of the Senate finance committee on the DAP. While the term savings is included in the General Appropriations Act (GAA), Aquino said legally defining savings would avoid issues like DAP and the hassles of revisiting it annually. Budget Secretary Butch Abad welcomed Aquino’s suggestion, provided that “there is appreciation for the need of the Executive to be flexible, considering the complexities of governing a society like us”. The term savings was the core issue when the Supreme Court declared DAP as unconstitutional. The High Court declared unconstitutional the creation of savings prior to the end of the fiscal year and the withdrawal of these funds for implementing agencies and the cross-border transfers of the savings from one branch of government to another. During the hearing, Aquino lauded the Department of Budget and Management (DBM) for its efforts to make the budget more transparent to the public under the present administration. Among the moves initiated by the current DBM leadership is the posting of budget-related documents, including the GAA and DAP, on the agency’s website for transparency and accountability. Apart from the website, Abad said the DBM insisted on a more detailed budget plan, discouraging other government agencies from resorting to lump-sum funds. Also, the DBM now requires agencies, especially the implementing offices, to begin procuring their infrastructure projects after submitting the proposed budget to Congress. “We’re allowing them to establish more bids and awards committees and hire full-time BAC people so they can perform their procurement functions better,” Abad said. Senator Bam Aquino has supported calls on the Commission on Audit (COA) to conduct a special audit on the Disbursement Acceleration Program (DAP) to, once and for all, remove doubts and other controversies hounding it. “A special audit is needed so that doubts regarding DAP’s use will be put to rest,” said Aquino during the hearing of the Senate finance committee on DAP. Through a special audit, Aquino said it would be determined if funds really went to legitimate projects or if somebody benefitted illegally from it. “If somebody irregularly gained from it, then he or she should be prosecuted,” Aquino emphasized. Aquino also stressed that DAP should not be associated with the controversial Priority Development Assistance Fund (PDAF), which was scrapped after the P10-billion scam was uncovered last year. “The DAP helped boost the economy through projects that benefited the Filipino people while P10 billion from PDAF went to ghost non-government organizations and pockets of several politicians,” Aquino stressed. The senator also lauded the Department of Budget and Management’s (DBM) posting all documents related to DAP on the agency’s website for transparency and accountability. “We invite everyone to take a look and scrutinize where the funds went,” Aquino said. Meanwhile, Aquino expressed support behind the government’s move to file a motion for reconsideration on the Supreme Court’s decision on the matter. “I hope the SC will weigh the President’s position on the DAP’s constitutionality and act favorably on the matter,” the senator said. A senator underscored the need to hasten the process for companies venturing into power generation, saying red tape has contributed to the country’s electricity supply problem. “Many companies want to invest in power generation but they are driven away by the slow and tedious process in getting a permit to build power plants,” said Senator Bam Aquino, chairman of the Senate Committee on Trade, Commerce and Entrepreneurship. At present, Aquino said an investor needs around 150 to 165 signatures for the approval of a permit to construct a power plant. “Aside from this, four to five years are needed to construct the power plants and have it integrated into the power grid,” the senator added. Aquino said more power plants are needed to ensure the steady supply of electricity at a lower cost. “If we have more generating plants, even if four of five shut down, the market should be able to sustain our energy needs,” Aquino said, adding that prices of electricity will be reduced with the entry of more players in the power industry. Aquino made the call amid the rotating brownouts being implemented by power distributors, which he blamed to the lack of supply from existing powers plants. “Our electricity supply is thin because existing power plants produce just enough power to meet current demands. 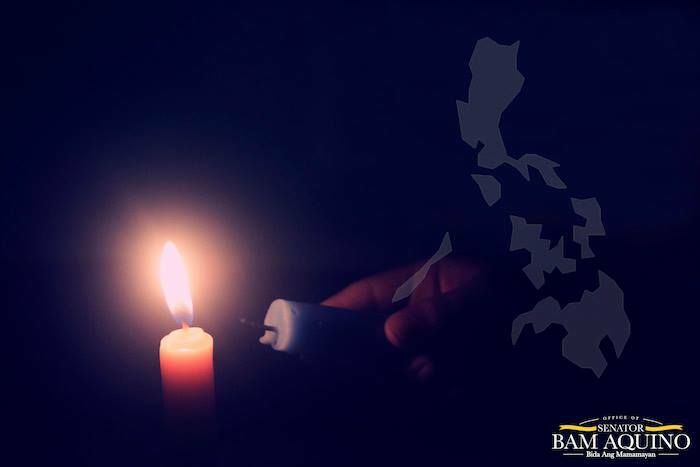 If demands spike, then power distributors are forced to resort to rotating brownouts,” the senator said. The senator warned that these rotating brownouts pose a big threat to the economy, as it could lead to huge business losses. Senator Bam Aquino called President Aquino’s approval of the Philippine Lemon Law as a “major victory” for consumers as it provides them with much-needed protection against defective vehicles. “We welcome its passage as it came during a time where owning a car is a necessity to keep up with the fast-paced society we live in,” said Aquino, the measure’s main sponsor at the Senate. “The Lemon Law provides car owners with a blanket of protection for their hard-earned investments and sets consistent standards of quality and performance in the auto industry,” added Aquino, chairman of the Senate Committee on Trade, Commerce and Entrepreneurship. On Sunday, Malacanang announced the signing of Republic Act 10642 or An Act Strengthening Consumer Protection in the Purchase of Brand New Motor Vehicles. The law mandates the return to consumer the full value of money if the motor vehicle that was bought would not be of standard and quality, 12 months or 20,000 kilometers from date of original delivery. 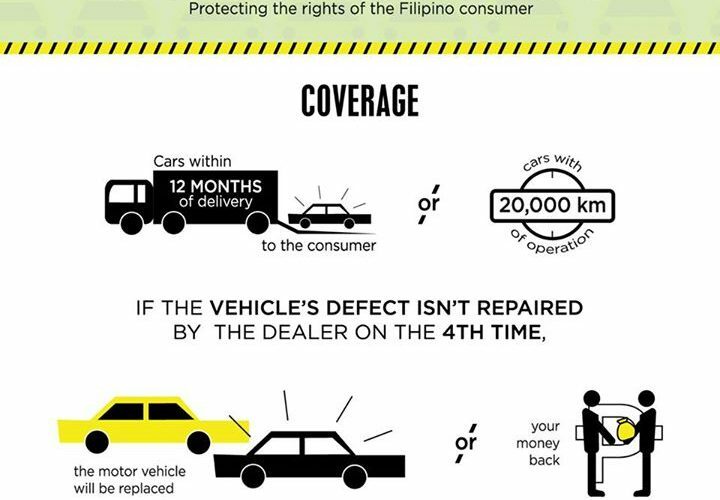 If the consumer remains unsatisfied with the efforts to the repair of the vehicle up to four times, the Department of Trade and Industry (DTI) will exercise exclusive and original jurisdiction over disputes. 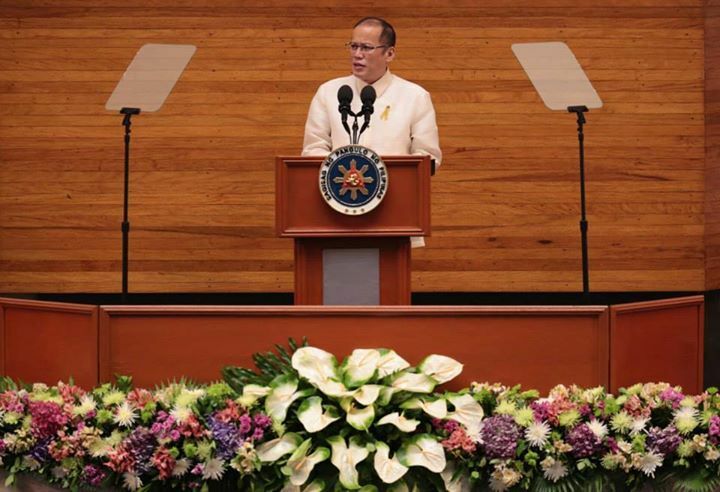 In his sponsorship speech, Aquino stressed the urgent need to protect car buyers, now that motor vehicles are crucial in present time where mobility is needed for business transactions to thrive daily. “We want to protect consumers who use cars every day. The quality of cars that they purchase should match the work they put to earn a living,” Aquino said. The development of micro, small and medium enterprises (MSMEs) in the country has been given a major boost with President Aquino’s signing of the Go Negosyo Act into law. 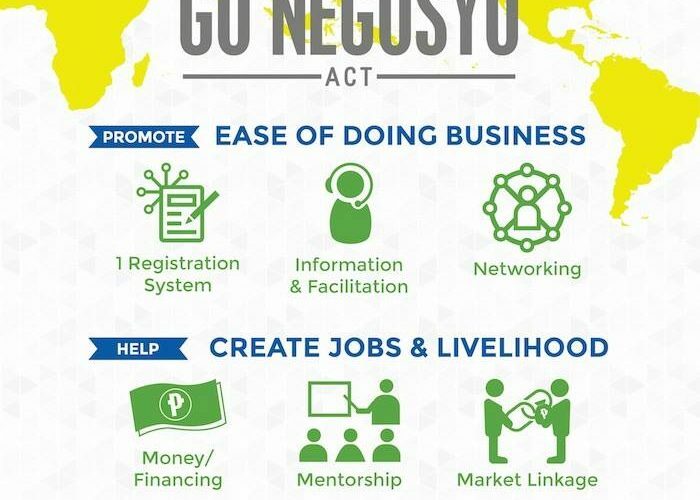 “The approval of the Go Negosyo Act into a law is a fulfillment of our commitment to push for MSME development in the country,” said Senator Bam Aquino, the law’s author and chairman of the Senate Committee on Trade, Commerce and Entrepreneurship. As the first inclusive growth-related and pro-poor legislation to be passed into law by the present administration, Aquino believes the Go Negosyo Act will further the growth of the MSME industry, which comprises 99 percent of all enterprises and 66 percent of jobs in the country. “With MSMEs getting all the help they need through the Go Negosyo Act, it will now be easier for them to start a business or expand existing industries,” said Aquino. On Sunday, Malacanang announced the signing of the R.A. 10644 or An Act Promoting Job Generation and Inclusive Growth Through the Development of Micro, Small, and Medium Enterprises. Presidential Communications Operations Office secretary Herminio Coloma Jr. said the new law would help create new jobs and livelihood for more Filipinos. The Act mandates the creation of Negosyo Centers, under the Department of Trade and Industry (DTI), in each city and municipality around the country. These Negosyo centers are meant to make it easier for entrepreneurs to register and start up their businesses, as well as gain access to sources of financing. In addition, the Negosyo Centers will provide courses and development programs, training, give advice on business conceptualization and feasibility, financing, management, capability building, human resources, marketing and other support services. 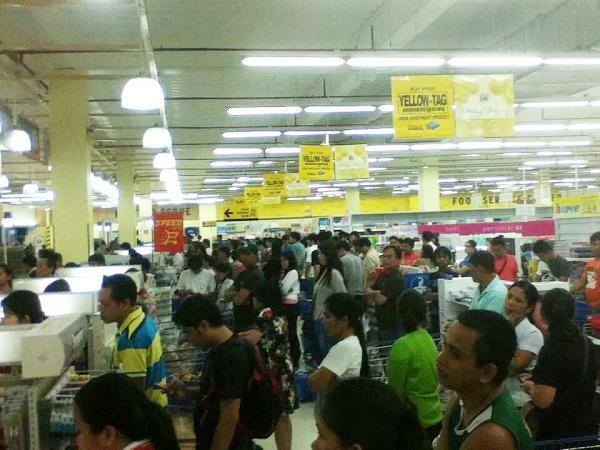 Senator Bam Aquino called on the Department of Trade and Industry (DTI) and local government units (LGUs) to ensure supply of basic goods and other important commodities in areas devastated by typhoon Glenda to avoid hike in prices. “We must ensure that there’s enough supply of basic goods and other commodities in areas severely damaged by the recent typhoon, especially in the Bicol region,” said Aquino, chairman of the Senate Committee on Trade, Commerce and Entrepreneurship. “Usually, prices of basic products in areas devastated by typhoons and other calamities increase because of supply problems,” added Aquino. Aquino also reminded businesses in areas placed under a state of calamity to abide by the 60-day price freeze imposed by the DTI. These areas are Obando, Bataan, Muntinlupa, Cavite, Camarines Norte, Camarines Sur, Albay, and Gumaca, Quezon. Under Republic Act No. 7581 or the Price Act, an automatic price freeze is imposed in areas placed under state of calamity to ensure that goods remained at prevailing prices until the state of calamity is lifted. “The clearing of roads due to fallen trees and other debris is crucial to the delivery of goods to typhoon stricken areas. We call on communities to help out our agencies to ensure our thoroughfares are passable,” Aquino added. Aquino said among the products covered by the price freeze are basic non-agricultural necessities, including canned fish and other canned marine products, processed milk, coffee, laundry soap, detergents, candles, bread, and salt. Also included in price freeze are fresh vegetables, roots crops, sugar, cooking oil, firewood, charcoal and medicine classified as essential by the Department of Health. A fine of up to P1,000,000 and a maximum 10-year jail sentence await violators of the Price Act. “The Price Act ensures availability of basic necessities and prime commodities at reasonable prices at all times without denying legitimate business a fair return on investment,” the senator said. In addition, the lawmaker also appealed to businessmen to keep the cost of construction and building materials as a way of helping those rebuilding their homes destroyed by the typhoon. Recently, Sen. Aquino has filed a bill seeking to establish emergency depots to combat hoarding, price manipulation and inflation during calamities. In his Senate Bill No. 2215, Aquino said that emergency depots will provide survivors of natural or man-made calamities quick access to affordable basic goods and other prime commodities. “Community depots will ensure that goods in the market would be available to avoid hoarding in affected areas and protect survivors from price manipulation during times of crisis,” said Aquino. Actually, ang pag-launch natin ng WASAK campaign, binuo natin ito para makatulong talaga sa ating malilit na negosyante. Usually kasi, iyong mga civil servant, other government officials o kaya si city hall mismo ang mga may members na humihingi ng kotong o under the table, usually ang komento nila walang matakbuhan. Ni-launch po namin ito para ngayon kung mayroon man kumukotong, under the table o red tape, puwede na pong puntahan o itext ang ating WASAK number 0908-881-6565. Ito po ay upang may matakbuhan ang ating entrepreneurs kapag sila’y hina-harass o hinihingan ng under the table para maramdaman nila na mayroong tutulong sa kanila. We have all the different agencies here, ranging from the CSC to the DOJ, DTI and DILG kasi bawat hakbang po niyan, iba iba po ang posibleng penalty. It could be administrative, meaning Civil Service Commission. It could actually be a criminal case kaya kasama po natin ang DOJ dito. We’re hoping na isa itong paraan para maramdaman ng ating mamamayan na mayroon silang kasangga, katulong laban sa korupsiyon sa ating bayan. Para sa akin, nilinaw ng Presidente ang mga dahilan niya kaya niya itinaguyod ang DAP. Sabi nga niya na hindi lang ito legal, and of course he cited the Administrative Code of 1987, pero nasabi niya na sa kanyang posisyon, kaya ba niyang hintayin pa ang isang taon bago makatulong sa ating taumbayan. That was, of course the main reason for running the program. And I’m hoping na ang Supreme Court ay makinig din sa kanyang request, sa kanyang mga dahilan, at ang taumbayan din natin, sikapin din na intindihin din kung ano ba talaga ang nasa likod ng programang ito. Nasabi niya kahapon na ang nadatnan niyang budget noong 2010 halos ubos na. Noong 2011, maraming mga ahensiya ang talagang may leakage o may corruption issues. They needed to do some changes in the budget to be able to fulfill the needs of the people. Palagay ko, ang nasabi niyang iyon ay mula sa kanyang puso, and I’m hoping na ang taumbayan natin at iyong Supreme Court ay makinig sa kanyang speech kahapon at sa kanyang motion for reconsideration. I don’t think so. Huwag nating kalimutan na wala na ring DAP. It’s already done. Ang constitutional crisis is an ongoing act. Patuloy iyang ginagawa habang ang isang branch of government naman ay sinasabi na itigil na ito. But in fairness, natigil na ito dahil na-correct na ang kailangang gawin sa budget. By 2013, it was already done. I think a constitutional crisis will only continue if patuloy na ginagawa ang isang bagay habang pinapatigil naman ng ahensiya ng gobyerno iyon. At this point, wala nang DAP. Palagay ko hindi constitutional crisis ang posibleng mangyari. Siguro di pagkakaunawaan o di tanggapin ang posibleng sabihin ng Supreme Court. But at this point, I think everyone is looking at the motion for reconsideration. Siguro kailangan din nating Hintayin ang isasagot ng Supreme Court sa MR na ihahain ng gobyerno. Hypothetically, in case ma-deny ang MR, should the administration just accept it? Kasi medyo combative ang tono ng Presidente? ANSWER: Nandoon ako. On the contrary, para sa akin hindi combative. Nagtataka nga ako kung bakit lahat ng diyaryo sinasabi combative. I actually felt it was very sober. He was in good spirits. Iyon iyong dating sa akin, hindi siya combative. Nagtataka nga ako, challenges, fights, goes to war, I think all of these really are exaggerations. Palagay ko ang nangyari kahapon, inexplain niya ang side niya. Hopefully, ang taumbayan ay nakinig dito, pati na rin ang Supreme Court. Hintayin natin kung ano ang sasabihin ng Supreme Court. I’m still hoping na there are some things na hindi nila nakita. In fact, the President cited several provisions na hindi na-cite ng Supreme Court. Hopefully, they’ll be able to look at those provisions and see things in a different light. QUESTION: Itinigil na naman ang DAP, why the need to challenge the Supreme Court? ANSWER: Alam ninyo, pag gumagawa ka kasi ng tama tapos sinasabihan ka na mali ang ginagawa mo, mahirap talagang tanggapin iyon. Honestly, I really believe kung saan nanggagaling si Presidente even si Secretary Abad – there is a definite need na ayusin ang budget process, itigil ang corrupt practices, gamitin ang budget nang mas maayos, palagay ko ang kanilang pagnanais na gawin iyan para sa taumbayan, mahirap tanggapin na sabihin na mali iyon. Even the President used the metaphor na mahirap na kinakasuhan ka na hindi mo naman alam na bawal pala iyon. He did cite legal provisions to back up what they did sa DAP. Palagay ko sa isang tao na nagsisikap gumawa ng tama, pag sinasabihan na mali ang ginagawa mo kahit maganda naman ang nangyayari, mahirap talagang tanggapin iyon. I think that’s the reason na itutuloy nila ang MR and hope for the best. QUESTION: Do you think the speech last night would improve his ratings? ANSWER: For a few weeks, I think, Malacanang just allowed all detractors to really just speak and this the first time that he speak after the ruling came out. I’m hoping na ang taumbayan natin, pakinggan ang kanyang explanation at maghusga for themselves kung ang reason ng Presidente ay katanggap-tanggap sa kanila. Si PNoy, sa pagkakaalam ko sa kanya, whatever public perception is, gagawin niya ang tama. That’s the type of president we have. So, maybe public perception probably ay secondary sa kanya. Ang pinaka-primary talaga, ginagawa niya ang tingin niyang kailangan ng taumbayan.